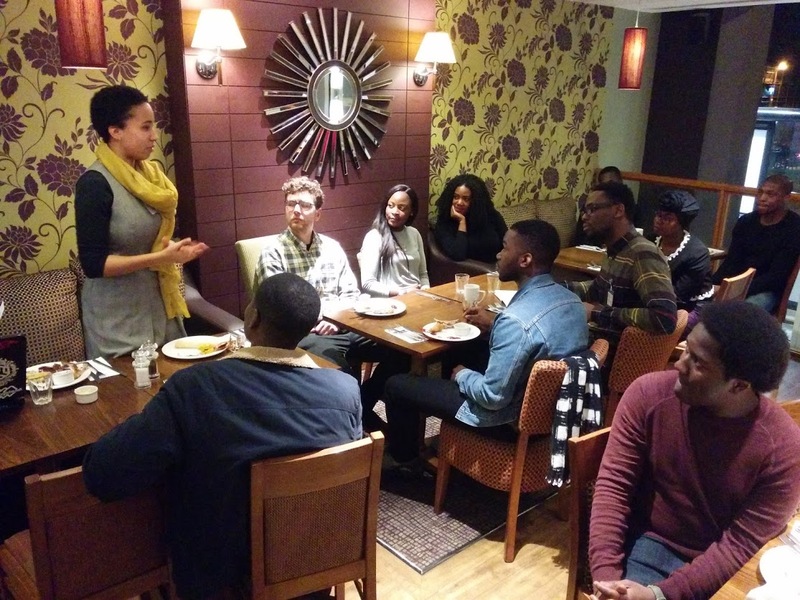 The objective of our first African & Caribbean Diversity (ACD) and Vanguard Connect (VC) gathering on Saturday, 3rd January 2015 was for people to understand how to make university meaningful to them and to know they should seek out careers advice while studying at university and where to go. How can university contribute to cultivating your identity? It might not seem relevant to a young person of ethnic or mixed heritage in the UK, but the ideas that our panellists introduced us to demonstrated that in this new era where all British students are expected to pay £9K a year in tuition fees, it is an urgent question that needs addressing. The panel, consisting of Busayo Abidakun, founder of http://acs-tv.com; Ivan Beckley, UCL student and Founder and CEO of Limitless; Elsie Cullen, Artist, Writer and ACD Alumnus; and Janat Kiwanuka, graduate of University of Sussex, University of California Berkeley, and ACD Alumnus, helped us think more boradly about how university is supposed to educate. Is it possible that University can shape social values, the way you view yourself as a person and your social and career trajectory? Does the value of a university education outweigh the [short-term] benefits provided by apprenticeships? Can ethnic minority students and graduates improve their quality of life, career prospects, salaries, and career/professional opportunities by going to university? Would be helpful if more professors were black or better reflective of the diverse as suggested by our keynote speaker Layo Olayiwola. Layo spent time at New York University. She said that having professors that understand your experience ,akes it easier to connect. New York University hasn’t had many black professors, she said, but more than British universities typically have. Ultimately, however, it is good to know how to integrate and inter-relate successfully with mainstream cultures. It is firstmost a useful business skill in an ever increasing global marketplace. Above that, however, it allows you to expand your knowledge, become acquainted with people from various backgrounds and opportunities to try different activities or ways of viewing the world. Elsie encouraged us to commit to something before you understand who you are and why/how you’re committing to something. Her best careers advice – understand who she is and how she is. So my advice to my fellow university students: take control of who you are. Challenge mindsets! 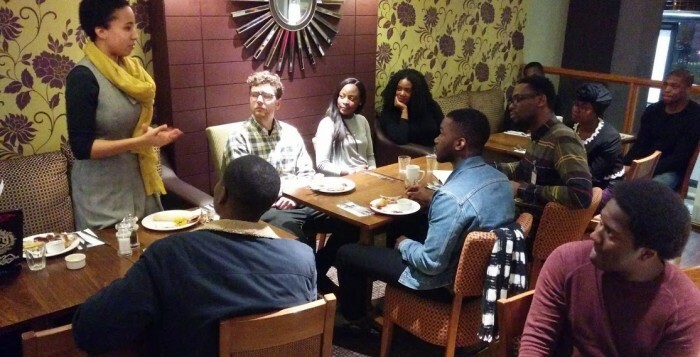 Busayo found his time at university to be a useful opportunity to explore cultural identity. It is good to manage your perceptions about what jobs/employment opportunities are available. You may not end up with a ‘traditional’ well-paying job. So what is so good about university to help form your identity? You can manage your career, expand your network, try new things, learn new things. So how about affecting the world wherever you go? Being the agent of change that helps any person in any country? Understand yourself and your relationship with the world in a global context? Many thanks to all those who attended our event Saturday, 3rd January 2015. Our thanks also to our panelists and ACD trustees for their lively and meaningful discussion! We are extremely grateful to Vanguard Connect & Primer Inn for supporting us also. Roxanne Walters is a Commonwealth Spokesperson for international students. Roxanne is the Director of Associated Media Ltd, Chair of Educating Beyond Borders [EBB] & also runs several voluntary projects as Director of Golden Spirits, a subsidiary of Associated Media Ltd. She is also the Creative Director of the international couture label TalisaQi and the brand ambassador for Bola Beyioku Imuaphe. Roxanne actively provides support and representation to any international student in the UK who has any concern while studying. She specializes in the unique issues that students on vocational Higher Education courses encounter, especially architecture. Her interests and activities include international diplomacy, architecture, research, fashion, and design. She holds many awards & honours for her architecture studies. 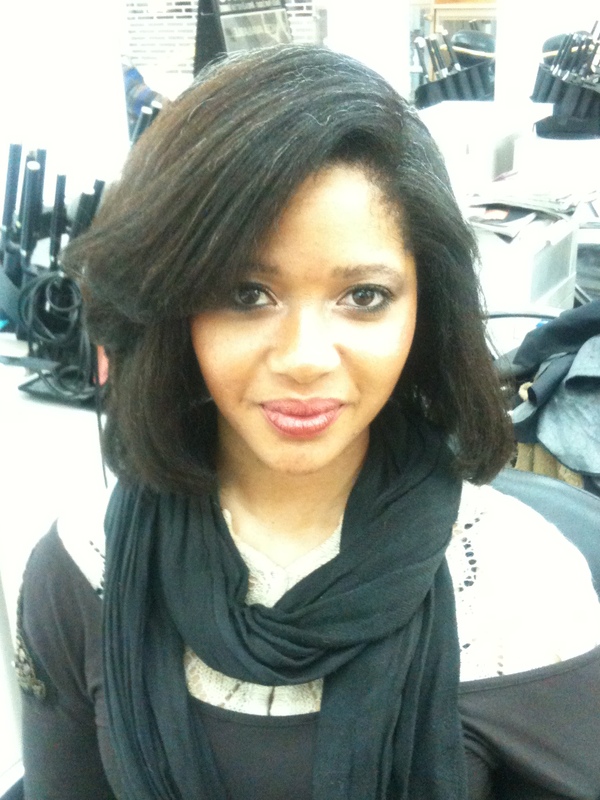 Her award winning work has been published widely in the UK & globally in various magazines, books & academic text books, including a double page spread in the hugely popular US Magazine Black Beauty & Hair. She is the winner of several prestigious international design & architecture competitions.